This is the "ultimate variant" of Tighter Roads, which includes support for a multitude of mods. It is the successor of Tighter Charter, which is included. You can use this, even if you do not have all the mods it supports. The extra support will just be dormant code. 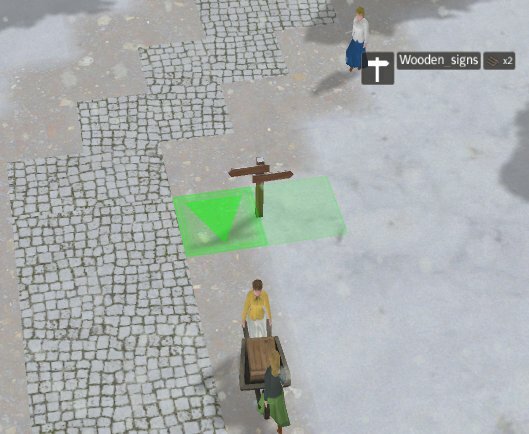 Wooden Signs: by default, this mod's signs are 1x1. The tighter version actually extends it to 1x2 in order to allow the sign to be placed on the road's edge, but not succumbing becoming undeletable. - "Untightened" the vanilla marketplace a bit. 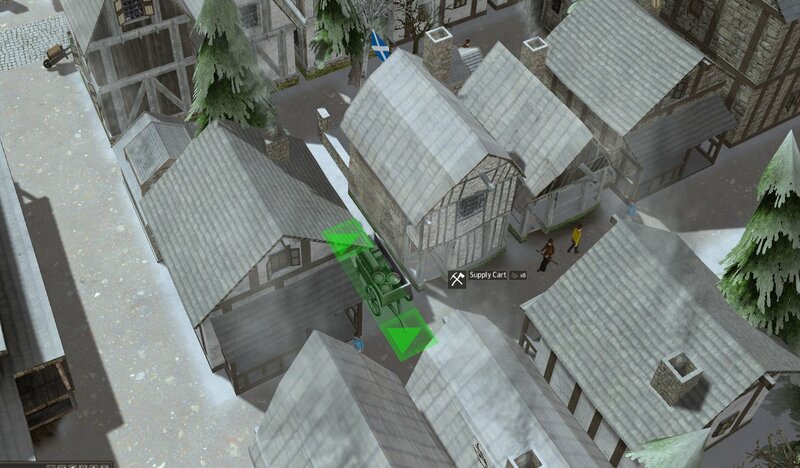 The roads around the border were removed in previous versions, but this was problematic with the ground decal. The edge roads are now only removed on 2 sides. Compatibility patch for CC Excellent Adventure (1.3). No new content has been modified yet. - Did the well. It is now a 3x1 instead of a 3x3. - Added a few more road tiles to the tavern where I could. Updated to support v3 of the CC Cathedral (but it will not support its v2 anymore). The previous version only supported the steam version of buildable storage carts, which is slightly newer. It now also supports the version here on BanishedInfo. 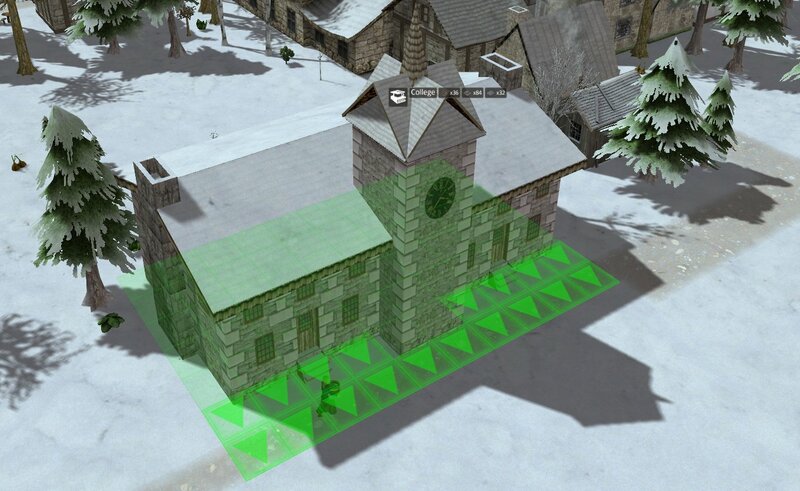 Also added support for the Cathedral which was accidentally dropped. - Removed excess code that sneaked in!